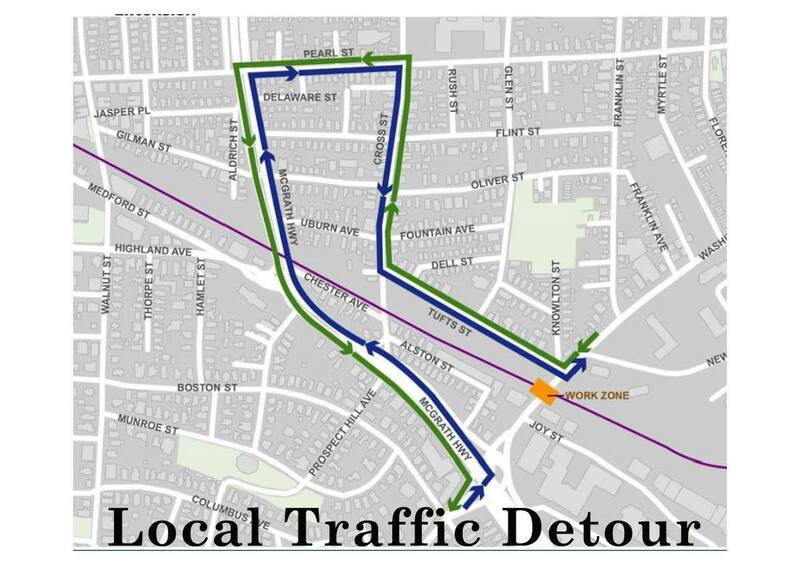 For the next phase of work on the Green Line Extension Project, the Washington St. bridge, in East Somerville near McGrath Highway, will close for construction beginning Monday, April 8, at about 10 p.m. 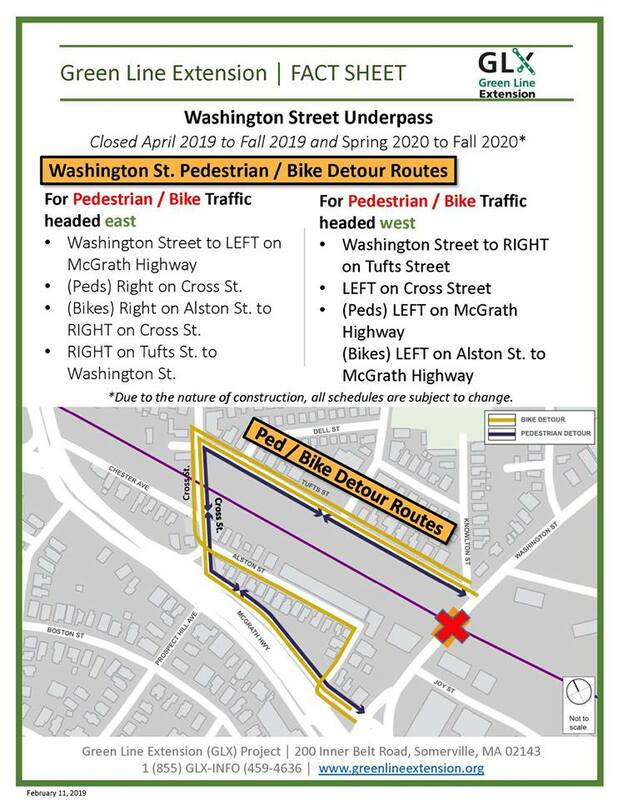 This bridge will close for two separate phases: first, from April 8 through approximately November 2019, then again from about April 2020 through August 2020. 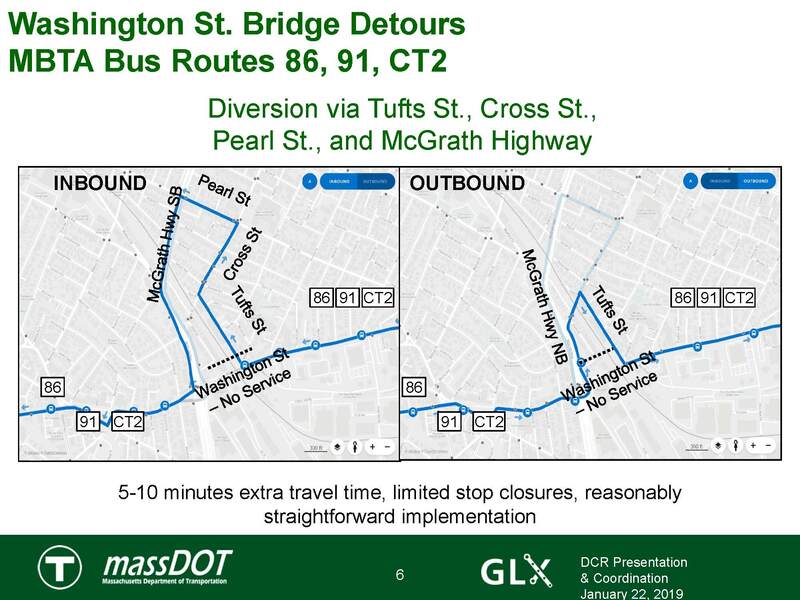 During closures, all traffic will be detoured around the bridge’s underpass, including motorists, cyclists, pedestrians, and MBTA bus routes 86, 91, and CT2. 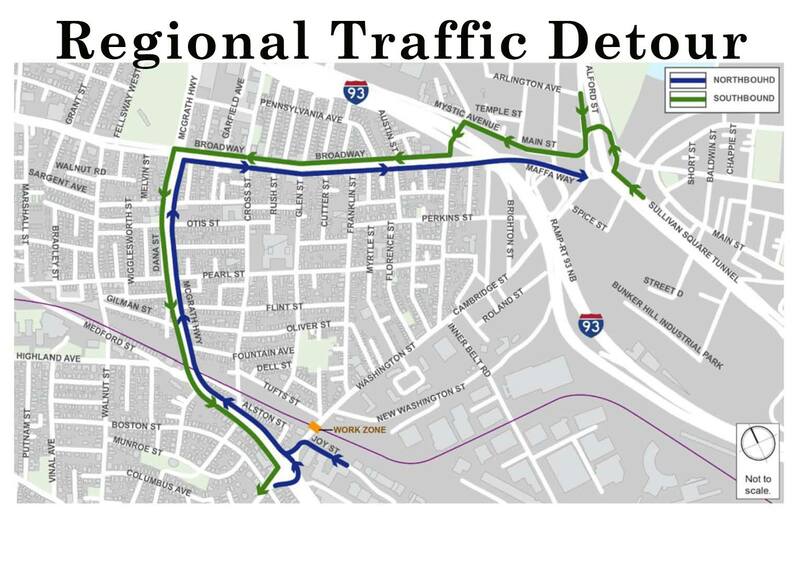 You can find more information about the project and detours at mass.gov/glx. Free Bridge Hopper Shuttle: The City will start running a free shuttle on Tuesday, April 9, to get folks from one side of the closure to the other. The shuttle will run from 7 a.m. to 7 p.m. on weekdays. Be sure to visit somervillema.gov/glx to stay up to date with the latest updates and information. For an urgent Green Line construction-related matter should call the 24/7 GLX hotline at 1-855-GLX-INFO (459-4636) or email info@glxinfo.com.